3/4 horsepower, 115/230 volts, stainless steel shallow well jet pump system. Pumps up to 900 gallons per hour. Maximum vertical suction lift of 25 feet. 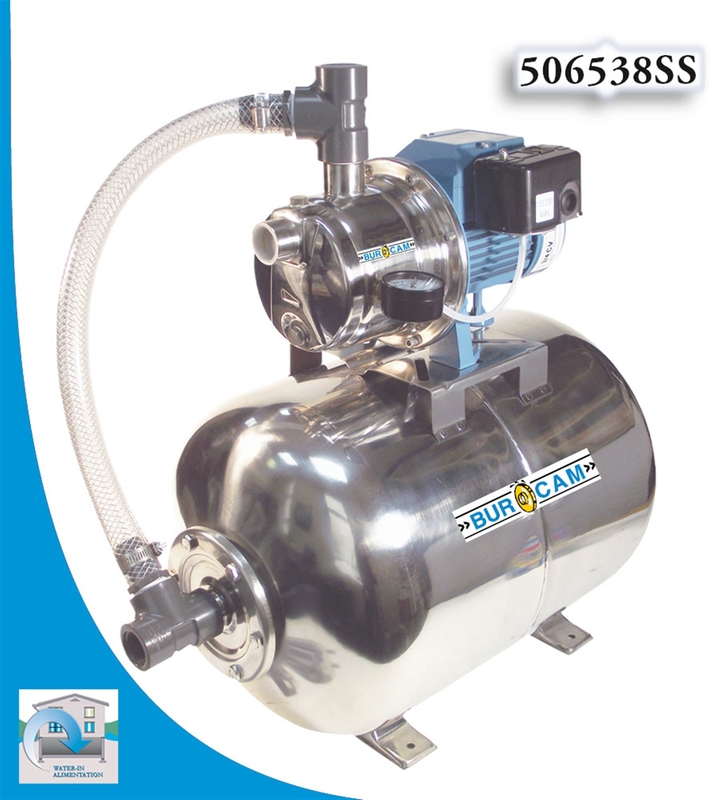 Stainless steel pump body. Stainless steel motor shaft bearing to bearing. 16 gallons stainless steel tank. NPT connection 1 inch. Pressure switch set to 30/50. Factory pre-charged at 28 psi. Drawdown 4 gallons. 3/4 horsepower stainless steel jet pump assembled on 15 gallon (60 liters) stainless steel tank. Stainless steel prevents rust contamination for better quality drinking water. 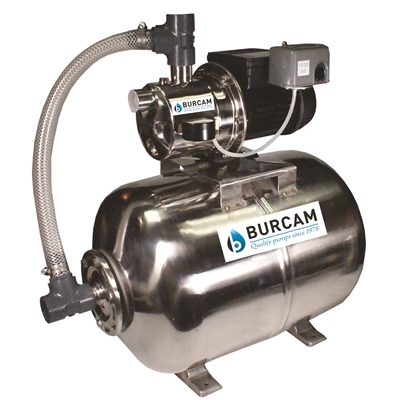 Pressure tank has a butyl bladder that eliminates condensation. Stainless steel tank eliminates corrosion. High performance at depths of 25 feet or less. No water to air contact. No water to metal contact.